When we appeared before the United States Congress last fall, Twitter publicly committed to regularly updating both congressional committees and the public on findings from our ongoing review into events surrounding the 2016 US election. Twitter is committed to providing a platform that fosters healthy civic discourse and democratic debate. We have been cooperating with congressional investigations into Russian interference in the 2016 US presidential election. We have committed to be as transparent as possible about sharing what we have learned through our retroactive investigation into activity related to the election. Since we presented our findings to Congress last fall, we have updated our analysis and continue to look for patterns and signals in data. Today, we are sharing an update on several aspects of that ongoing work, as well as steps we are taking to continue to make progress against potential manipulation of our platform. As part of our ongoing review, we have identified both more IRA and automated Russia-based accounts. The results of this supplemental analysis are consistent with the results of our previous work: automated election-related content associated with Russian signals represented a very small fraction of the overall activity on Twitter in the ten-week period preceding the 2016 election. We have identified an additional 1,062 accounts associated with the IRA. We have suspended all of these accounts for Terms of Service violations, primarily spam, and all but a few accounts, which were restored to legitimate users, remain suspended. At the request of congressional investigators, we are also sharing those account handles with Congress. In total, during the time period we investigated, the 3,814 identified IRA-linked accounts posted 175,993 Tweets, approximately 8.4% of which were election-related. We have also provided Congress with the results of our supplemental analysis into activity believed to be automated, election-related activity originating out of Russia during the election period. Through our supplemental analysis, we have identified 13,512 additional accounts, for a total of 50,258 automated accounts that we identified as Russian-linked and Tweeting election-related content during the election period, representing approximately two one-hundredths of a percent (0.016%) of the total accounts on Twitter at the time. However any such activity represents a challenge to democratic societies everywhere, and we’re committed to continuing to work on this important issue. After the 2016 election, we launched our Information Quality initiative to further develop strategies to detect and prevent bad actors from abusing our platform. We have since made significant improvements, while recognizing that we have more to do as these patterns of activity develop and shift over time. Alongside these improvements, we’re continuing to expand enforcement of our developer and automation rules. Since June 2017, we’ve removed more than 220,000 applications in violation of our rules, collectively responsible for more than 2.2 billion low-quality Tweets. Continuing the expansion of our new developer onboarding process to better manage the use cases for developers building on Twitter’s API. This will help us improve how we enforce our policies on restricted uses of our developer products, including rules on the appropriate use of bots and automation. 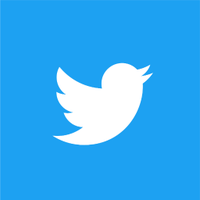 We recognize that Twitter is an important part of a larger ecosystem of how news and information spreads online, and that we have a responsibility to support external programs that empower our users, connecting them with resources to give them control over their online experience. Our partners Common Sense Media, the National Association for Media Literacy, the Family Online Safety Institute and Connect Safely, amongst others, have helped us to craft materials and conduct workshops to help our users learn how to process online information and understand which sources of news have integrity. We focus on elements like verification of sources, critical thinking, active citizenship online and the breaking down of digital divides. Learn more about our most recent efforts for Media Literacy Week in countries like the US, Canada and Ireland, and follow our partners @MediaLiteracyEd, @CommonSenseEdu and @ConnectSafely for new initiatives like the Teachers Institute at Twitter HQ. Twitter is proud to partner with journalistic NGOs for trainings and outreach initiatives, including Reporters without Borders, the Committee to Protect Journalists, and the Reporters Committee for Freedom of the Press. We will keep working with reporters, journalism NGOs, and media organizations to ensure that Twitter’s full capabilities are built into newsrooms and established media outlets worldwide.